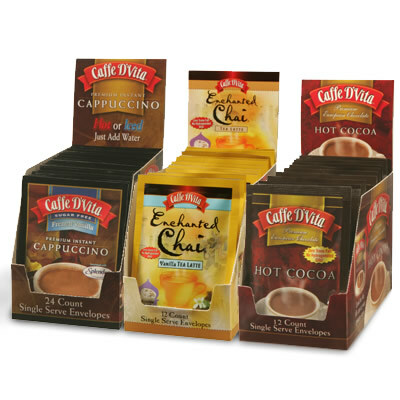 Cappuccinos, Cocoas and Chai Latte drinks in convenient single serve envelopes for foodservice – offer your customers a variety of different flavored drinks. Easy to use, just add hot water or milk and pour in the contents of a single pouch. Your customers will thank you for the simple great tasting drink.